The information provided here is for the Baby Safe seat WITH the i-Size base. 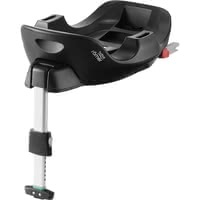 Britax Römer Baby-Safe i-Size is a safe and lightweight safety seat that can be used as a carrier on several prams. Click here to check the complete list of compatible pram list. 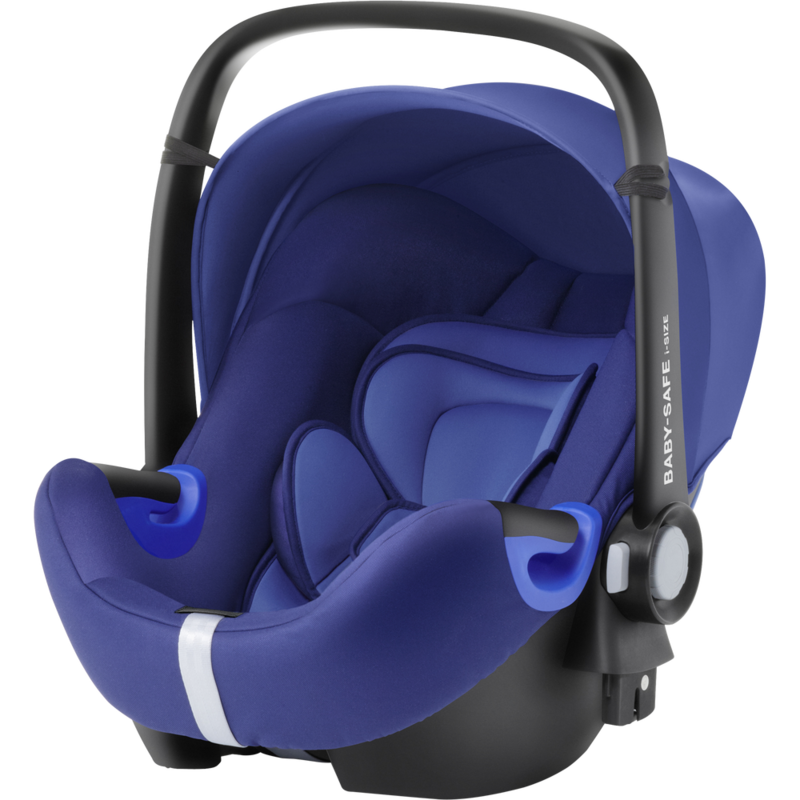 The seat has won several awards both from professional testers, such as ADAC, and from Moms and parents. It can be used from birth to 15 months with two types of isofix or seat belt. The seat contains an extra insert for newborns to provide comfort and safety for the smallest ones as well by absorbing energy in case of an impact. 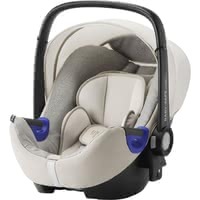 As the baby grows, you can remove the newborn insert and adjust the headrest and harness to your baby’s size. Patented lie-flat technology makes sure that the baby’s spine is in the best possible position. As the baby grows and you move the headrest in an upper position, the seat also becomes less and less flat, as a more upright position is safer for a bigger baby. An indicator turns from red to green, when you correctly attached the seat to a pram or to a base. Personally, for me it is a better option than the ones with sound and light because once a batter is needed, well, I know that I can easily forget to buy or charge the next one, so I prefer these mechanics ones – this is another thing you can consider before making a purchase. The cover can easily be removed from the shell. Britax Römer Baby-Safe i-Size has got an additional and newly developed side impact protection (called SICT) for extra protection in case of a side impact. Its function is to push the baby away in a controlled movement and then it gets deformed from the energy that otherwise the baby would have got. All you have to do is to place the SICT to the side of the carrier that is closed to the door in the car. The sun canopy protects your child both from sun(UPF 50+) and wind in the car and on a pushchair. The 5-point harness provides the safest way to travel as it keeps your baby safe and tight in the protective seat shell, as well as it absorbs the energy of the impact on five points instead of three. (as in very many seats). CLICK & GO® adapters help you take off the seat from a base or pram by unlocking the seat at the back. Britax Römer Baby-Safe i-Size can be bought in 13 different colors. I hope you liked this review and if you have any question about the Britax Römer Baby-Safe i-Size seat or want to leave your own personal experience, leave a comment below.